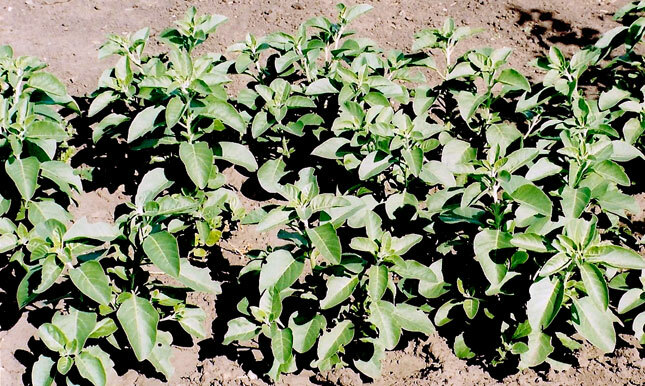 Ashwagandha can be grown as an annual in temperate zones. Start early indoors, or direct seed to the garden in May. Sow 6 mm (1/4 in) deep, tamp soil. These plants need full sun and require some heat for germination. Harvest roots after a hard frost in the fall, when the tops die down. Ashwagandha is also known as "Indian Ginseng," with a distinctive odour.